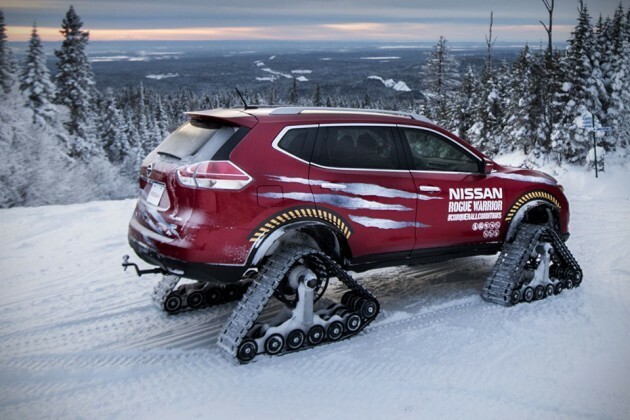 Going skiing? 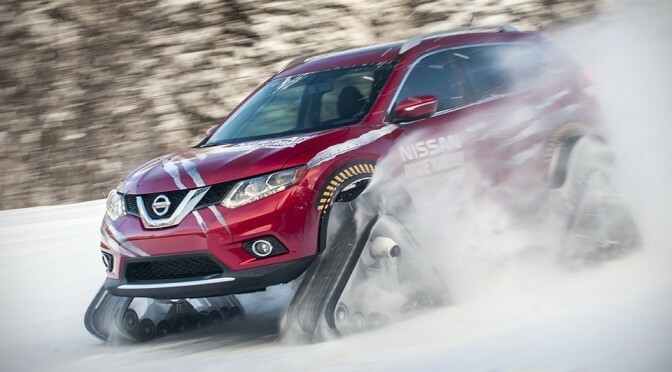 Why queue for the chairlift when you can scale up the powdered mountain with the Nissan Rouge? Oh, wait. The Rouge can’t do that, but the Rouge Warrior certainly can. 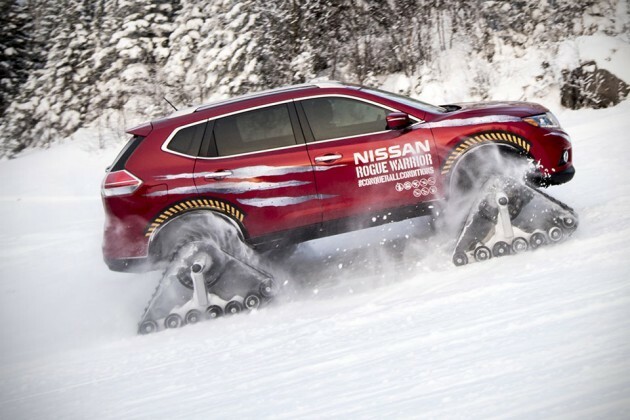 Unfortunately, you won’t be seeing the Rouge Warrior at any ski resort; the vehicle was created to showcase the stock Rogue’s all-wheel drive and Nissan’s advanced Xtronic transmission. 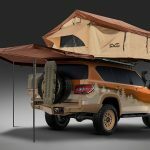 Aiding the Rogue to take on the snow mountain, it was outfitted with a set of Dominator heavy-duty snow tracks, each measuring 30” tall, 48” long and 15” wide (76 x 122 x 38 cm). 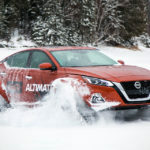 The tracks bestowed the vehicle with a good ground clearance of 23 inches (58 cm) and affording it to scale 45-degree gradient groomed snow, while still capable of making 62 miles an hour (100 km/h). 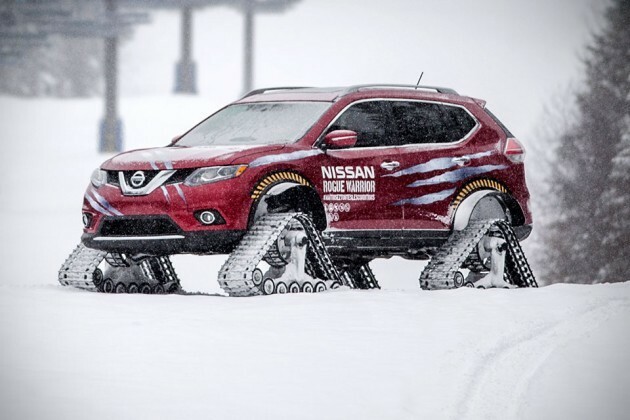 Obviously, the monstrous tracks won’t fit the Rogue as-is. 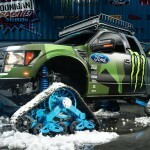 Quebec-based Motorsports in Action had to make a few tweaks including suspension adjustment, addition of snow guards and minor body tunings, to accommodate the tracks. Other than those works, the Rogue remains pretty much stock. 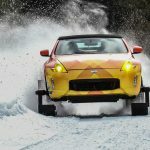 The vehicle was featured at the 2016 Montreal International Auto Show and also made appearance in a video where 2015 Nissan Micra Cup Champion Olivier Bédard took it through over 16 inches of snow, up a 30-degree incline at a ski resort in northern Quebec, Canada. Previous PostSamsung Galaxy TabPro S Is A 6.3mm Thin, 1.5 Lbs Light Laptop/Tablet HybridNext PostWill This Awesome Boba Fett-Inspired Tactical Armor Ever Be Made?